You’ve never seen anything like a Christmas cookie tray until you visit a traditional Italian home around the holidays. Well, it’s true for me anyway among the Italian friends I’ve had in Philadelphia over the years. Think of the most giant sized round tray you can imagine, piled high, really, really, high with quite possibly about a dozen different varieties of cookies. When my friend Frani’s mom was still alive they used to prepare maybe even five or so of these trays packaging them around with clear cellophane wrapping, tightly tied with colorful ribbon and readied for deliveries to the other Italian family members. 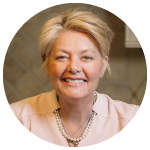 After all, how could one provide proper hospitality over the holiday season without offering guests at least a hundred cookies upon their arrival? The memories of these trays were so striking in my memory that the first time I observed this festive collection of homemade treats I think my eyes were nearly popping out, not to mention thinking that had been a whole heck of a lot mixing action going on. Lynn Melograna’s cookie trays much resembled those served at Frani’s over the holiday’s but on Lynn’s tray was one particular unique flavor that became an immediate favorite, that of the Italian Sesame Seed Christmas Cookies. And so on a couple of special holiday occasions, following the antipasti platter, the giant raviolis tossed with tomato gravy accompanying equally huge meatballs, well, I still could hardly wait for the giant sized cookie tray to appear, where despite already being stuffed, I would gleefully pop a few bites, well, maybe more than a few, just for the sheer delicious pleasure. Eventually the distance of our homes locations became much further and so Lynn then shared a printed white file card of her Italian Sesame Seed Christmas Cookies recipe with me, and with the exception that one year the recipe mysteriously fell behind my oven and I feared I lost it, once found, it continued as the one cookie, along with the traditional Christmas sugar cookie, that I annually most treasure preparing. It is also the cookie that immediately came to mind with the opportunity to test out the Hamilton Beach 300 Watt Stand Mixer whose function provides for the same mixing action as Kitchen Aid Stand Mixers. A lot lighter in weight than I expected, the beater easily blended the full one pound of softened butter required for Lynn’s Italian Sesame Seed Cookies. Besides the smooth and even mixing performance, what I especially enjoyed about the Hamilton Beach Stand Mixer was the ease of use. A snazzy silver push button quickly lifts the mixer head top up and down. The speed control button adjusts by merely twisting to your desired speed number from 1-7. Like I said sturdy, and easy. 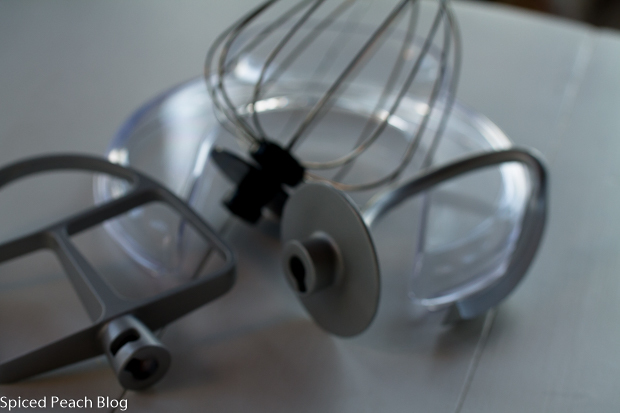 The attachments, shown above, are also similar to a Kitchen Aid mixer, though lighter in weight and very easy to click into the attachment shaft. A splatter shield is also included. The 4 quart bowl sets right into the central area and hugs snugly in place with an easy, no fuss twist. 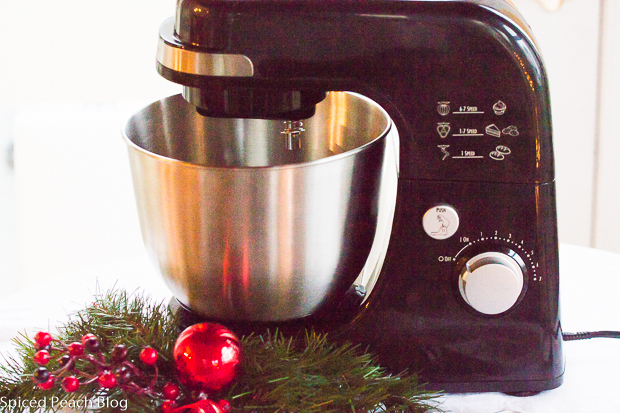 I really like the Hamilton Beach Stand Mixer and think it would make a great gift if you still have that special someone to buy for that loves to cook and bake ( I know there are plenty of last minute shoppers out there like me!). 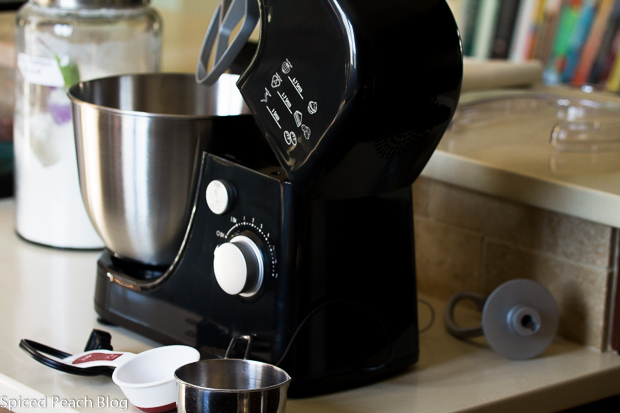 But then, the Stand Mixer would also make a great purchase anytime of the year if you are looking for a fun to use- no fuss – sleek looking appliance, or, maybe just for whipping up a batch of Lynn’s Italian Sesame Seed Cookies. 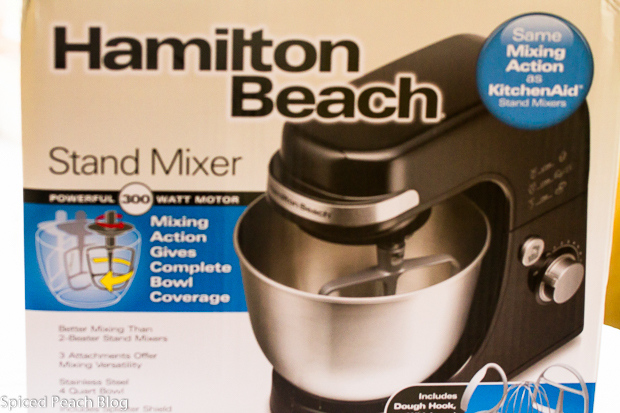 I received the Hamilton Beach 300 watt Stand Mixer for trying out, and sharing my honest opinion about the appliance. All opinions expressed within my posting content are sincere, and in providing my own experience, based on the performance of the appliance and its features. Preheat oven to 375 degrees. Line cooking sheets with Silpat sheets. Stir together the sifted flour with the baking powder. In the bowl of a Hamilton Beach Speed mixer Beat the butter on medium speed until somewhat fluffy around 2-3 minutes. Add in the sugar in 3 batches incorporating the sugar before each addition then continuing to cream the mixture together, another 2-3 minutes or longer. 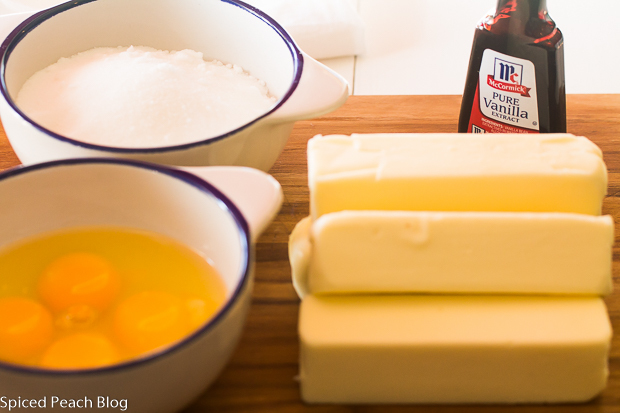 Beat in the vanilla, then the eggs, one at a time. Continue beating until well blended then begin added the sifted flour and baking powder mixture in 3 parts blending well before each addition. Turn off mixer, remove dough, separate into 3 portions and roll batches into 2 inch ropes around a quarter inch thick. Cut dough into one inch pieces then roll into the sesame seeds before placing onto lined cookie sheets. Bake at 375 degrees for 10-12 minutes. Sesame Christmas Cookies freeze well. 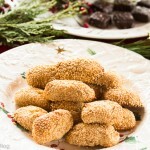 This entry was posted in Holiday Favorites, Sweet Treats and tagged Italian Sesame Christmas Cookies, Italian Sesame Cookies, Lynn's Italian Sesame Christmas Cookies. Bookmark the permalink. Post a comment or leave a trackback: Trackback URL. We don’t have a standing mixer. It’s nice to know that there are alternatives to the investment piece of the Kitchen Aide. Thanks for the review, Peggy. The cookies look delicious. Merry Christmas! Hi Kelly, the price point is very good on this stand mixer. I really loved that you could take it out of the box and without reading a fifty page book, with countless technical features, simply assemble the pieces from basic common sense. This is one of the many things I like about Hamilton Beach products, and, that they dependably last. Not all cookware and appliances live up to that standard. 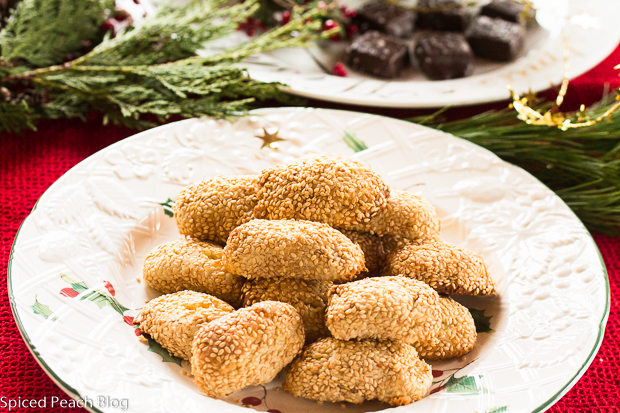 Lynn’s Sesame Seed Christmas Cookies are delicious, not too sweet, but a lovely taste. Have a wonderful holiday and Merry Christmas to you and Antonio! Those are some of my favorite cookies! Sounds like a great kitchen appliance to have. Thanks Phil, Hope you had a very Merry Christmas! Love the sesame seed Christmas cookies, and yes, I do think the stand mixer is rather nifty! I remember cookies like this as a kid. My grandmother was full Italian, so anything with her and her sisters etc., was like this These types of cookies, Pizzelles, etc. Seems many of us had the Italian family in Philly! Hi P.J. lucky you having a Grandmom, along with her sisters preparing these type of holiday cookies. They are delicious. I love the Pizelles and my friend Fran and I were talking about them just a few weeks ago- but another year we again never got around to making these. Great memories of the Italians in Philly!